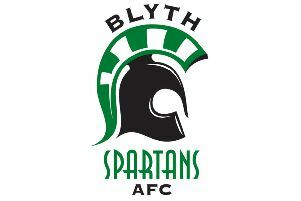 Ashington FC are hoping that the Football Association abide by their original statement – and thereby give the Colliers the green light to start next season in the first division of the Ebac Northern League, writes Brian Bennett. On Saturday, Guisborough Town’s victory over Sunderland RCA saw the Teesiders leapfrog over the Colliers and push Ian Skinner’s side back into the bottom three whilst the Wansbeck outfit - playing their final match of the 2018/19 programme - turned in a poor display against West Auckland who completed a comfortable 3-0 win. As a rule, three clubs go down into the second division but before the start of the campaign, the FA announced that only two would face the drop from step five (which includes the ENL division one) and during the term confirmed that Team Northumbria and Blyth AFC - who both resigned - would be classed as being relegated clubs. So provided the FA adhere to their policy then no club in the ENL first division will be going through the trap door - and that is good news for Ashington. After Tuesday night’s excellent performance of full-on commitment and non-stop battling which culminated in a precious point away against newly crowned champions Dunston UTS, Ashington travelled in good heart to face West Auckland at the Wanted Stadium. It was an understatement that three points were desperately ‘wanted’ and another Herculean effort required but it was not to be as the Durham side took an early lead and subsequent stranglehold on the contest with the Colliers struggling in the first half hour. Home skipper Amar Purewal headed his side ahead and they could have put to game to bed as it was only the woodwork - rattled on two occasions - which saved the Colliers from going further behind. Alex Francis had a volley blocked for the home club early doors but Ashington responded with Ben Sampson firing over from distance then ‘keeper Shane Bland comfortably clutching a shot from Sammy Perez. However in the eighth minute West’s opener was simplicity itself. A deep cross from the right by Denver Morris was nodded back by Adam Burnicle and Purewal headed in from close range. Purewal – the West skipper – was causing problems to the Ashington back line and after blasting over, came close to adding his second in the 17th minute when his header struck the far post with ‘keeper Conor Grant rooted to the spot. Seven minutes later, a low drive by Francis smacked against the opposite upright then Ross Colquhoun headed wide. West massively dominated possession and although Thomas Portas was not far away with a right foot volley, it was only the brilliance of Bland who denied Ashington an equaliser in the 38th minute, the stopper diving to his left to turn aside a precision 20 yards free-kick by Kyle Downey. That was as good as it got for the Colliers and ten minutes into the second half, the game was effectively all over when Purewal’s shot took a big deflection to squirm just inside the corner wide of Grant. Apart from a 20 yarder from Sampson which flew just over, West were in cruise control and in the 73rd minute, they added a third when full back Tom Price lashed home left footed.